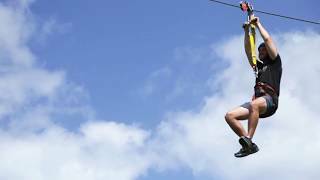 The Coffs Coast Adventure Centre specialises in school camps, school excursions, sporting groups, activity days, team building, corporate challenges and conferences. They provide accommodation for up to 140 people and pride themselves on delivering each and every one of their clients personalised programs, competitive pricing, high quality service and of course excellent food. In addition to this, they have an extensive selection of adventure and educational activities for people of all ages and abilities.